The Florida Department of Economic Opportunity (DEO) today announced new changes to the Florida Small Business Emergency Bridge Loan Program allowing more small businesses impacted by Hurricane Michael to qualify. Additionally, some small businesses may be eligible for increased loan amounts in special circumstances. Eligibility changes to the program now allow for small business owners with fewer than two employees, located in any of Florida’s 35 counties impacted by Hurricane Michael, to apply for short-term loans up to $25,000. Small business owners with two to 100 employees can apply for short-term loans up to $50,000, and in special circumstances, be granted loans up to $100,000. DEO administers the Florida Small Business Emergency Bridge Loan Program in partnership with the Florida SBDC Network to provide cash flow to businesses damaged by a disaster. These loans are interest-free for up to one year and help bridge the gap between the time damage is incurred and when a business secures other financial resources, including payment of insurance claims or longer-term Small Business Administration loans. Up to $10 million has been allocated for the program. DEO will work with every borrower to ensure that repayment of the loan isn’t an overwhelming burden. To be eligible, a business must have been established prior to Oct. 7, 2018 and demonstrate economic injury or physical damage as a result of Hurricane Michael. To complete an application by the Dec. 7, 2018, deadline, or for more information on the program, visit floridadisasterloan.org. Small businesses can get assistance applying for state and federal business loans at Business Recovery Centers in the impacted areas. To find a Business Recovery Center, visit FloridaDisaster.biz. For questions regarding the Emergency Bridge Loan Program, contact the Florida Small Business Development Center Network at 866-737-7232 or email Disaster@FloridaSBDC.org. The phone line will be answered during regular business hours; all voice mails and emails will be responded to within 24 hours. 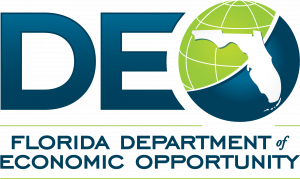 The Florida Department of Economic Opportunity combines the state’s economic, workforce and community development efforts. This new approach helps expedite economic development projects to fuel job creation in competitive communities. For more information, including valuable resources for employers and job seekers, please visit floridajobs.org.